As the stage is set for another big general election in India in 2019, the issue reverts back to facilitating NRIs to vote in elections. Till the year 2010, NRIs were not allowed to vote in the elections. However, post 2010 an amendment permitted NRIs to vote at their particular constituency in India but the voting required the direct presence of the NRI in India at the particular polling booth where the name was registered. For most of the 3.10 crore NRIs across the world, coming to India was not only expensive but also an onerous task considering the logistical and practical problems involved. That is one of the reasons why the NRI voting registration mechanism got less than 12,000 registrations. However, there are some basic issues pertaining to NRI voting that one needs to be aware of? The following are the steps that the NRI needs to follow to register as a voter. Who is eligible to register as a voter? If the NRI has completed 18 years as on 01st Jan 2019, they can register to vote. Such NRIs must not have acquired foreign citizenship. Before filling in the form, the NRI first needs to identify her relevant polling station via the interactive map. They can also get the details of the Election Officer for the area. The Enrolment Form (Form 6A) can be filled up online and soft copies of the requisite documentary proofs can also be uploaded online. Alternatively, the NRI can also physically fill up the printed Form 6A and post the physical copies to the concerned Electoral Registration Officer (ERO). The key documents include a photograph, copies of the relevant passport of the NRI and the Visa endorsement. All photocopies need to be self-attested. How can NRIs vote in the General Elections 2019? Technically, there are different ways by which non residents can vote in India. Let us look at the options and how they stack up from the perspective of 2019 general elections. NRIs can vote at the pertinent electoral booths. This is already permitted although NRIs need to register via Form 6A for this. 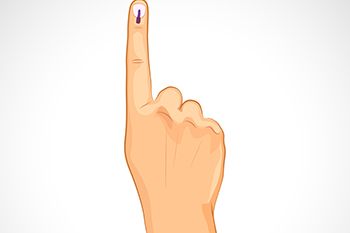 In this case, NRIs are required to be physically present in India on the date of voting and personally cast their vote at the electoral booth. While voting, NRIs are required to carry their Voter Id cards as well as their passports with them. The second approach, which could actually be feasible in 2019 elections, is the proxy voting methodology. The government had passed a bill in August 2018 amending the People’s Representation Act, 1951 to permit NRIs to vote by proxy. In this case, the NRIs will have to notify a relative in India (who is also eligible to vote) to cast the vote on their behalf. The resident Indian can vote at his / her discretion on behalf of the NRI. Detailed guidelines for proxy voting by NRIs are still awaited. The third method that is close to fruition is the E-Postal Ballot. This is a secured method of voting for NRIs through a government sponsored gateway. The Centre for Development of Advanced Computing (C-DAC) is currently doing the pilot project on behalf of the government and testing its feasibility. Once this is facilitated, NRIs can use the dedicated gateway of the government of India to vote just as we vote in company AGMs today. This is also referred to as remote voting. There is also the option of voting through postal ballots or via internet voting. However, the government has currently rejected both the proposals on the grounds that it may be practically difficult to ascertain the actual identity of the voters. Additionally, advanced nations have also stayed away from internet voting for obvious reasons. Finally, there was also the subject of voting through the international Indian embassies. However, the Election Commission of India (ECI) rejected the proposal as it would create a complexity of jurisdiction and also raise security concerns. Where does NRI voting for 2019 elections stand as of now? A notice by the Indian embassy in Brussels summed up the NRI voting formula for 2019. In the absence of any alternative announcement, the only way NRIs can vote as of now is by registering and personally presenting themselves in India before the electoral officer.